In the South Pacific archipelago of Fiji, where more than 300 islands serve up crystal blue water, swaying palms, private beaches, and exquisite coral reefs in clear lagoons, there is the very tangible feeling of having found paradise. Within this tropical wonderland, 53-acre Tilagica Island offers secure freehold status and sophisticated development that is ready for residency. There are three existing structures and caretaker’s quarters on the island, with a total of five bedrooms and five large, modern baths. The central Fijian-style bure (bungalow) home, constructed of sturdy concrete, features tall ceilings with fans, light-tiled floors and beautiful dark wood appointments. A large kitchen occupies the airy great room. 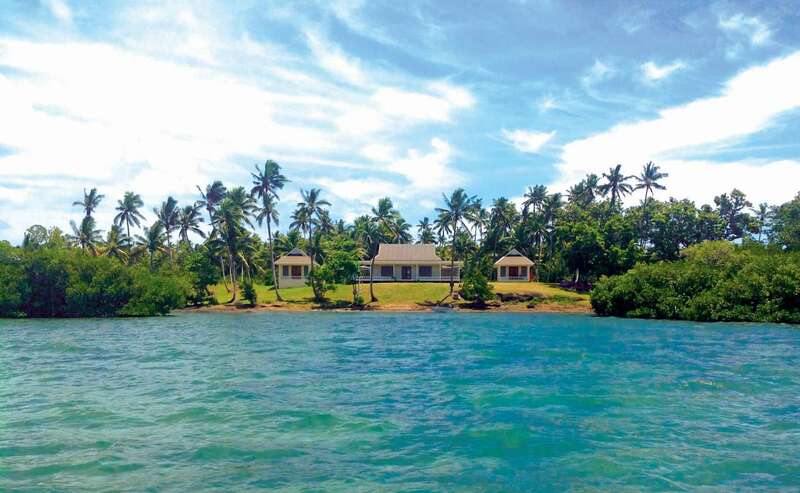 The lovely lawn slopes from the living quarters to the water’s edge where the mountains of Vanua Levu can be seen in the distance. Most importantly, the key infrastructure is modern, functional and operational, and includes solar power, a substantial diesel generator and a 45,000-liter water storage facility. Cell phone service also is available, and a small boat and three outboard motors are included in the listing. The buildings and infrastructure were constructed from 2012 to 2015. Although a caretaker resides on the island, the homes have never been occupied; so new owners can truly make Tilagica their own. The recently upgraded Nadi International Airport—the gateway to Fiji on Viti Levu’s west coast—is your departure point for a 45-minute turbo prop flight to Labasa Airport on Vanua Levu, Fiji’s second largest, but less touristy island. From there, it is a 1.5-hour drive north, before departing on a picturesque boat trip along the Dogotuki River and then making a short open-water crossing to your new island home. Exceptional surfing and diving opportunities abound here, including the magnificent soft corals along the nearby Cakaulevu Reef. Recently designed a World Heritage Site, it’s the world’s third-longest continuous barrier reef, stretching over 120 miles. Seller is motivated to sell and all reasonable offers will be considered. Asking price is USD 2,500,000 plus VAT.